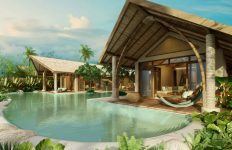 Browse: Home / HOSPITALITY / Hotel News / Get Wet! Go Wild! 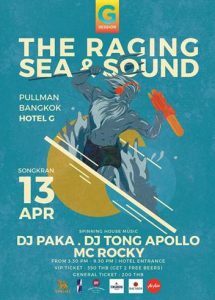 Prepare to get wet and go wild in April as our G Session party series returns to Pullman Bangkok Hotel G this Songkran! Put on your brightest Songkran shirt and join us at the hotel turned into water fest playground from 3.30PM – 9.30PM on April 13th for The Raging Sea & Sound G Session Songkran Party. 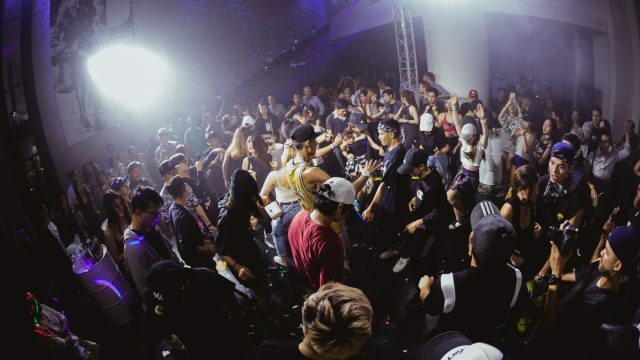 At the playful and colourful celebration, there’ll be mad street side water fights while DJ Tong Apollo and DJ PAKA stir-up Silom Road with deep house beats. 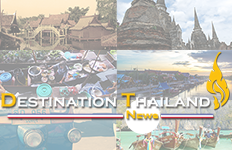 The unmissable party will combine all the fun and traditions of Thai New Year with deep sea Greek mythology inspiration from Poseidon, the God of the Sea. Take advantage of our special Songkran package and book a stay in our chic rooms including breakfast for 2 persons and get a complimentary Songkran Survival Kit which includes a water pistol, waterproof phone bag, goggles, ocean pack, inhaler, 1 can of red bull and Singha beer, and 2 VIP entry tickets with 2 FREE drinks for the party. VIP tickets are just THB 350 including 2 beers. Standard ticket is THB 200 per person.